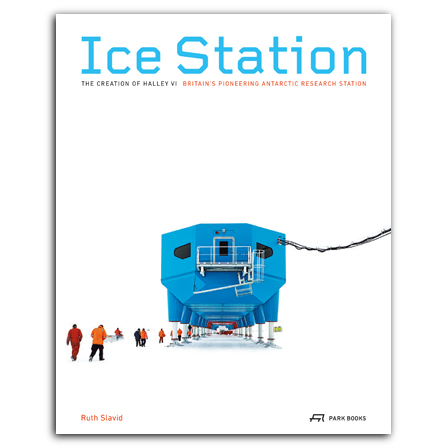 Commissioned by British Antarctic Survey (BAS) and completed in 2012, Halley VI is the winning design from a competition in collaboration with the Royal Institute of British Architects. Designed by London-based Hugh Broughton Architects and AECOM, a US-based architecture and engineering firm, the structure cannot just rise to avoid being engulfed by accumulating snow, but it is also the first research station able to be fully relocatable, its eight modules situated atop ski-fitted hydraulic legs. This book tells the story of this iconic piece of architecture’s design and creation, supplemented with many illustrations, including plans and previously unpublished photographs. is a freelance architectural writer, editor and consultant. She is the author of six books, including Extreme Architecture: Building for Challenging Environments (2009). Following 15 years with The Architects’ Journal, Ruth now writes for magazines and organisations about architecture, construction and lighting, and currently edits Landscape. She graduated from the University of Cambridge.